Johnny Enlow: God Speaks through Signs and Wonders! Does God speak to you through signs? Yes, yes He does! Johnny Enlow is one who has a deep understanding of hearing God's voice — through signs! The different ways God speaks to you. How to distinguish between God's voice, your own, and satanic counterfeits. How fun and creative God really is! And you'll receive an impartation from Johnny to get activated in your prophetic gifts! Get ready to arise and shine in every area of society as sons and daughters who can hear God's voice wherever you go! Then, I encourage you to order these powerful prophetic resources from Johnny and Elizabeth Enlow just below…they'll equip you in a much higher way to hear God's voice! Do YOU want to Hear God's voice and grow in YOUR prophetic gifts? Are you doubting that you REALLY hear Him? 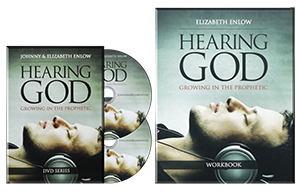 Call 866-967-3665 to order an exciting teaching package from Johnny and Elizabeth Enlow called: Hearing God: Growing in the Prophetic—made available to you, our Elijah Streams viewer. 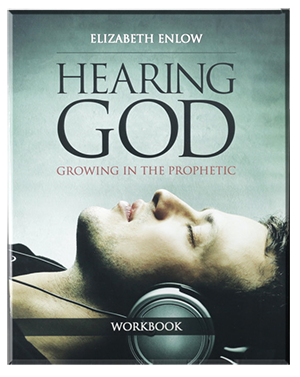 This package includes a 9-session DVD series along with a hands-on workbook by Elizabeth Enlow which takes you through a 9-week in-depth study of—how to recognize God's voice in your life and use it to encourage others! Johnny Enlow lays a Biblical foundation on "Hearing God" and proves that God does indeed speak to you—today! Johnny addresses the "uncertainties of the prophetic" while providing guidelines to help you accurately hear the voice of the Lord AND distinguish between God's voice, your own, and satanic counterfeits. This is no ordinary message where you walk away—unequipped! In the step-by-step workbook included, you'll receive a weekly challenge, activation exercises, along with a 30-day challenge to help you continue the learning process of hearing God. If you want to hear God's Voice, prophesy and share His message of love with others, you won't want to miss out on Johnny and Elizabeth Enlow's OFFER called: "Hearing God: Growing in the Prophetic" made exclusively just for you—our Elijah Streams viewer.